We communicate with people on a daily basis, and what’s better than learning some important types of etiquette that could improve our daily interactions! I personally worked as an elementary school teacher in Sharjah for a period of time. After Allah blessed me with my third child, I couldn’t get back to work and I didn’t miss the work environment much except for a few wonderful things that used to happen. I reminisced all those small, lovely things and especially remembered the peace greetings. The school where I used to work, being an Islamic one, had the full Islamic greeting instilled in its students from an early age, so whenever I used to enter any classroom and utter the greetings of peace, the entire class would reply, ‘wa’alaykum as-salaam warahmatul laahi wa barakaatuh’ (and may the peace and blessings [of Allah] be upon you) in unison. It was so beautiful, so pleasing to the ears and I had taken it for granted! Though I knew I could not have that many duas showered over me now that I was at home, I made a mental note to use every talking/meeting opportunity (provided the kids weren’t crying or in tantrum-mode) to say the full greeting to everybody with the hope of receiving the same beautiful greeting; a small decision with much to yield, In sha Allah. We meet our brothers and sisters day in and day out. The sunnah of the Prophet has taught us everything including manners and etiquettes of communicating with people in meetings, gatherings and elsewhere. If we were to follow the sunnah when communicating with people, we would be earning ourselves a great deal of reward, In sha Allah. Before you start talking, smile! This is an instant ingredient to start any conversation positively and to remove any past ill feelings that could be present. Smiling brings joy to the giver and the receiver (imagine being both!). 2. Pay attention to the tone and volume: Beware of your tone and the volume of your voice. Your tone determines whether you will make your relationship or break it. Any undesirable loudness in your voice could put people off and make any further attempts to communicate futile. 3. Start with the Islamic greeting of peace: Whether you know this Muslim or not, the greeting of peace or saying ‘Assalaamu alaykum’ (peace be upon you) is recommended. It will repel hatred and create love between you. Habituate yourself with saying the full and complete greeting and earn 30 rewards every single time you greet someone! 4. 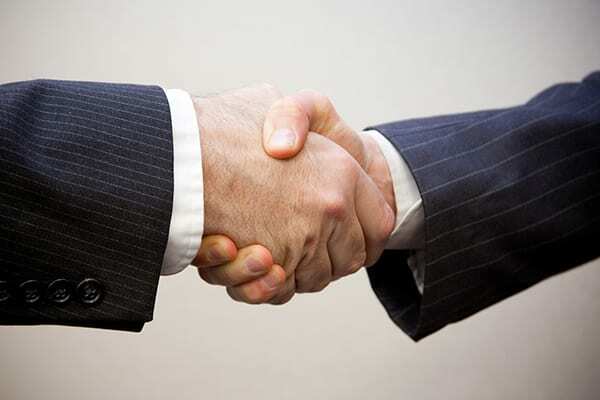 Shake hands: Accompany your greeting with shaking hands (if you are greeting your mahram or a person of your gender). 5. Inquire about people: Ask them how they are doing and inquire about their health and well-being and that of their family and friends. They will feel loved and cared for. 6. Remember not all are the same: Consider people’s different characteristics and differences while communicating. Keep in mind their age, status, temperament and other factors. 7. Teach at every opportunity: The Prophet used every chance to enjoin the good and forbid the evil. If there is ever a need for you to say something corrective in nature, do so gently. “I have been given superiority over the other prophets in six respects: I have been given words which are concise but comprehensive in meaning” […] [Sahih Muslim]. He spoke with clarity and made people comprehend easily, sometimes by even repeating his words thrice. 10. Stay away from argumentation: Being nice is easy when you’re dealing with nice people. But, practically speaking, this world has more to it than such people. Despite your best efforts, you are bound to walk into not-so-nice people. Try not to fall into disputes and argumentation. 11. End with the greeting: Before departing, smile, shake hands and greet people warmly with the salam. 12. In writing, start with Allah’s Name: If you were to communicate in writing, in addition to the points above that are relevant, it is desirable to start your written communication with ‘Bismillaahir Rahmaanir Raheem’ [In the name of Allah, the Continuously Merciful, the Especially Merciful]. This was done by the Prophet numerous times when he dispatched letters to kings and heads of peoples and tribes. So that was a list of the basic etiquette from the sunnah on communicating effectively with people. Smiling and starting with the salam, speaking kindly and gently, showing warmth by shaking hands or a hug, giving due respect and/or showing love by considering the position of whom you are addressing, saying only that which is good and beneficial, choosing to be patient and kind over being right, and always ending with a warm smile and the salam: what a beautiful way to create love in your brother’s or sister’s heart for you! I hope this reminder of communicating effectively by following the sunnah has benefited you, inshaAllah. Do share great ways you’ve discovered or tried in communicating effectively with others. I leave you with the best greetings: Wassalaamu alaykum warahmatul laahi wabarakaatuh! (May the peace and mercy and blessings of Allah be upon you). A student of knowledge at American Open University and a mother of three children. She currently resides in United Arab Emirates and aspires to pursue a career in writing and/or teaching.